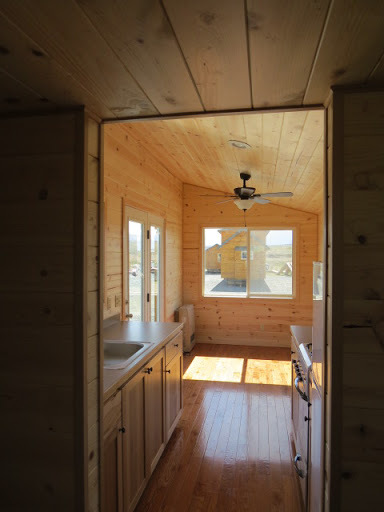 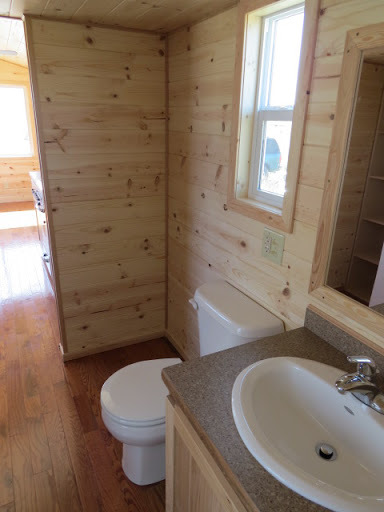 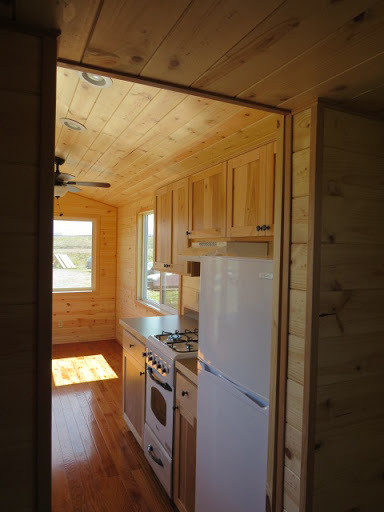 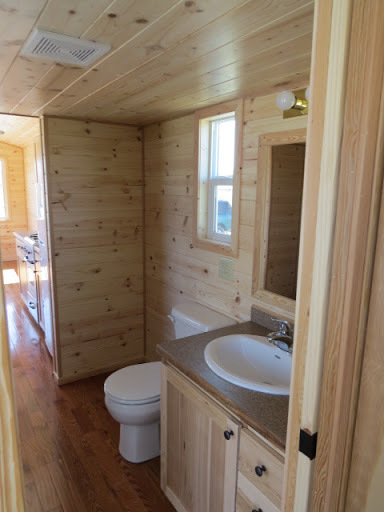 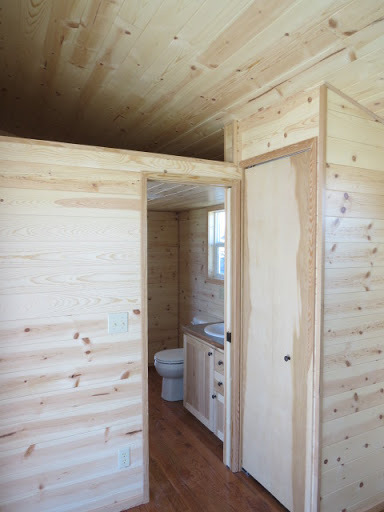 A beautiful cedar tiny house from Rich's Portable Cabins. 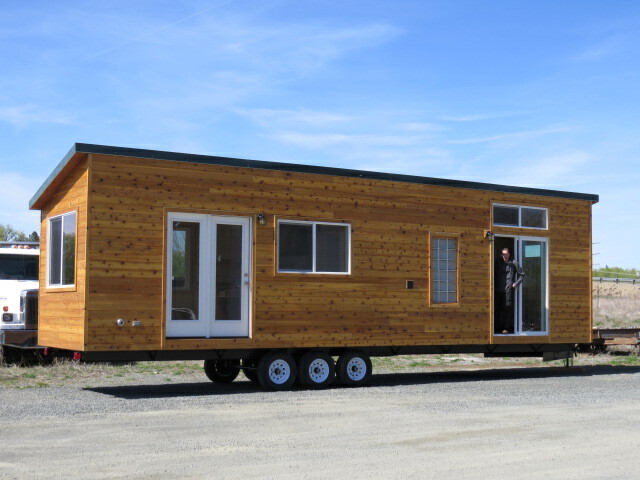 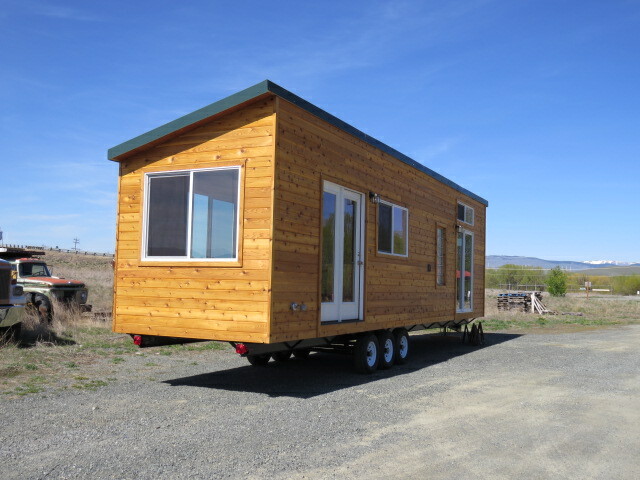 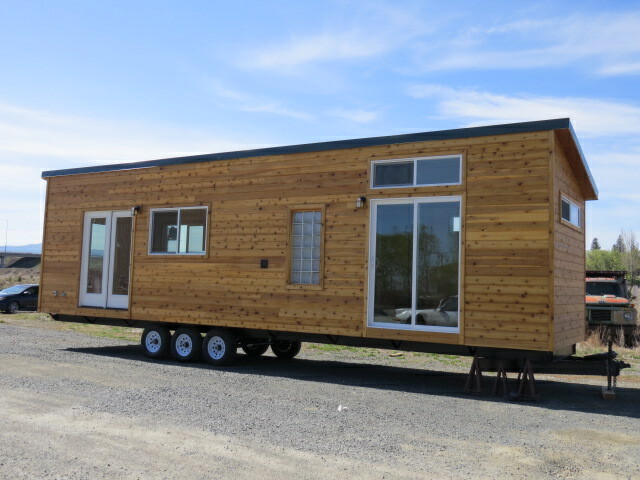 Named The Ayn, the home measures 8' x 36' and has an interior size of 288 sq ft. 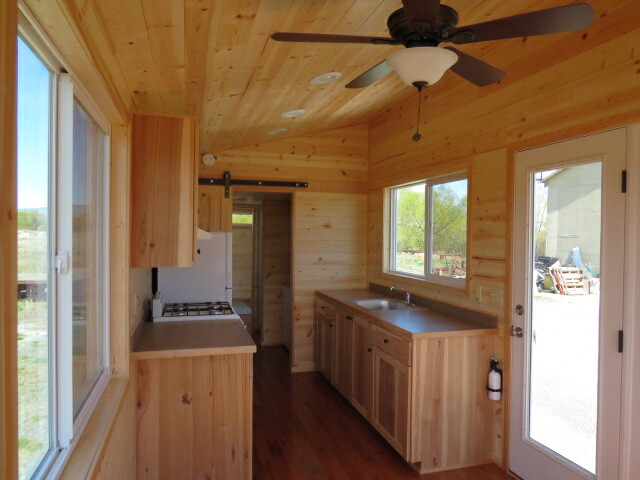 The exterior is composed of cedar lap siding with stained cedar trim. 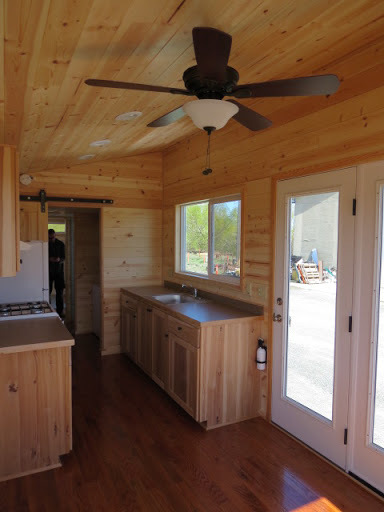 Inside the home is laminate flooring throughout the space, double paned windows, and insulation in the home's ceiling, floors, and walls. 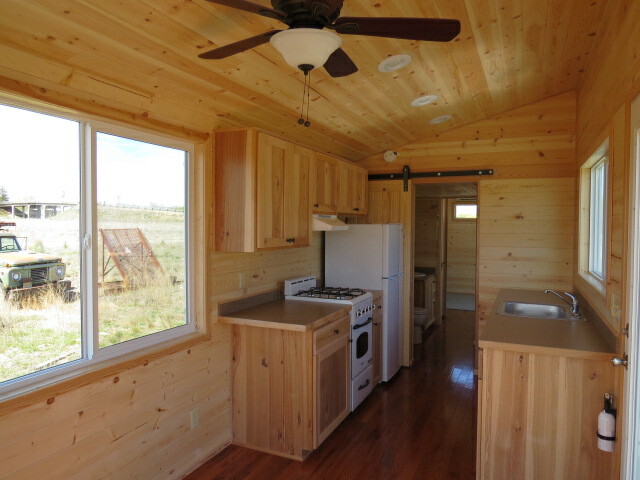 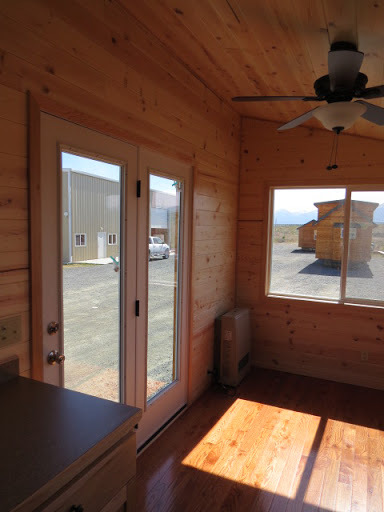 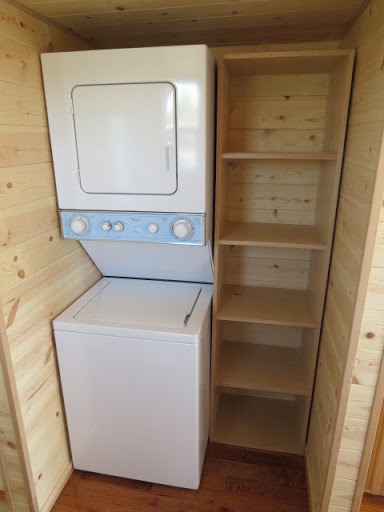 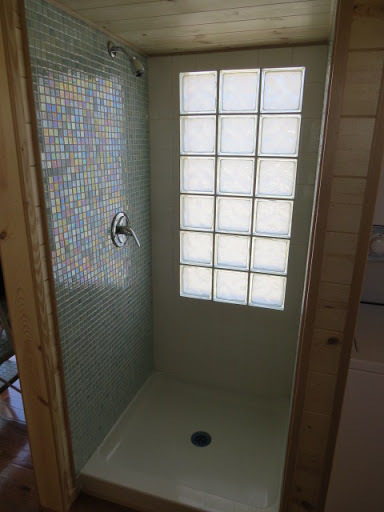 The layout of the home includes a kitchen, bathroom, loft bedroom, a washer and dryer, and plenty of storage. 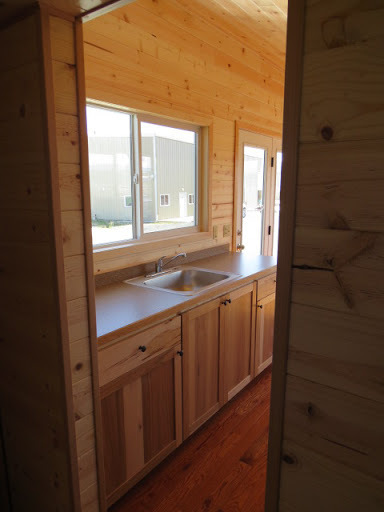 There's also a list of options available here!